dulu..ada sorg brader ni. madstone..dia budak pergh.com....koleksi komik2 lama byk betulll..
After a two-month hiatus, our columnist takes a break from unpacking boxes to meet Malaysia beloved Kampung Boy at the world biggest book fair. The Kampung Boy at the Frankfurt Book Fair? That was too good an opportunity to miss! When the Malaysian Consul General in Frankfurt, Saiful Azam Abdullah, first informed me of Lat imminent arrival in town, I immediately requested an interview. Malaysian cartoonist Lat (Mohamed Nor Khalid) at the Frankfurt Book Fair on Oct 16. After all, I have been a fan ever since I first read his Kampung Boy as a seven year-old. His illustrations never ceased to amuse me. And having spent the better part of my childhood growing up in a rubber plantation myself, I could relate to the adventures of the book tousle-haired protagonist with the toothy grin. Even today, I cant help giggling at the myriad characters who enliven his distinctive sketches of Malaysian life - the Chinese lady with the beehive and bat-wing glasses (supposedly inspired by his former English teacher, Mrs Moira Hew) or the bespectacled Indian Uncle with the middle parting and curly side burns. And of course, the distinctive Lat noses on famous personalities. Datuk Mohamad Nor Khalid (as Lat is otherwise known) came to town a week ago to launch the German edition of his bestseller, Kampung Boy. The German version features an additional tagline - Ein Frechdachs aus Malaysia - which roughly translates to either a Rascal or a heeky monkey from Malaysia. Looking dapper in a black baju Melayu complete with songkok and samping, he began his presentation by explaining that he usually does not around wearing this costume. Whenever I wear this outfit at a hotel in Kuala Lumpur, the security guards at the entrance would salute me thinking that I am the ex-president of Indonesia. I salute back, he said to peals of laughter. The history of Lat entry into the world of comics needs no introduction. Having had supportive parents, Lat love of drawing was nurtured early on. Whe been reading comics ever since I was a kid. When I couldnt read yet, I just look at the pictures, explained the 57-year-old, whose favourite cartoonists include the Sri Lankan Aubrey Collette, who created Sun Tan, the Asian Sensation, and the German Wilhelm Busch, famous for his Max and Moritz comics. When I later showed him a copy of my husband original Max and Moritz comic, he said, grew up with him. When I came to Germany in 1983, I had a chance to visit a museum in Munich and saw the original artwork. This is the old style of drawing, which is attractive and will not go out of date. To introduce his book, a slideshow featured highlights from the Kampung Boy. While it was a hilarious eye-opener for the uninitiated (with Lat providing side-splitting commentary), it was a walk down memory lane for the Malaysians present there. Many were seen nodding vigorously whenever he described certain childhood activities. Although most of us have now spent a large portion of our lives in cities, almost all of us could recall, or at least relate to, eating coconut embryos as a treat, skinny-dipping in rivers or playing hide and seek with the other neighbourhood kids. A collective www went up when he mentioned that the original kampung house where he spent his childhood and which was also featured in the book was later sold to a relative in the 1960s. His descriptions of a simpler life made me wonder if development had somewhat dulled our senses. For instance, his class would sometimes convene at the headmaster house to listen to History lessons over the radio. When we heard the sound of the Portuguese attacking Malacca, we picture it in our heads. That probably also helped us with our imagination. People were also more patient. If you had a favourite song, you have to wait patiently by the radio and listen to the request programme. My favourite song was Its all in a Game by Cliff Richard. You hope that it would be this song but then the announcer would play another and you have to wait. You dont get things you want immediately, he explained. How unlike today where the shuffle button on the iPod plays the song you want. The first game we played - like children anywhere else - was hide and seek. To play hide-and-seek, you needed friends. Its not like now where kids play computer games alone. In my time, if you had no friends, who was going to look for you? And while we think nothing of the speed trains whizzing between cities, a simple bus ride into the city was a big deal then. Celebrate Raya, we sometimes used to go to Batu Gajah. At that time for RM1.70 we could tengok wayang (watch a movie) and have mee goreng. I used to wear seluar pendek (short pants) with a necktie! he said, laughing at the memory. With increasing numbers of people migrating to cities, does Lat feel that many are missing out on something special? Where are two things here. Firstly, in many places, people dont have a kampung anymore. Secondly, it was the environment of the kampung that mattered the most. When you remember your place of origin, there was a river with fish and a very good school with lots of pupils. Lots of laughter and friends meant the most. In those days, if you passed a particular exam it meant that you had to go to another town and you wondered about the friends that you would leave behind. And now these and other beloved childhood memories have been introduced to the people of Fank-furt (Frankfurt nickname playing on its financial capital status). After presenting his book, Lat mingled easily with the crowd, flashing his trademark grin. He gamely signed copies of his book for fans and curious onlookers alike. Among the autograph seekers was David Price-Hughes who spent his childhood in Kuala Lumpur. My parents really loved his books and we had several copies around. We still look at them and I have pictures of me with Lat T-shirts on. Looking at the pictures in the slideshow brings back memories of being in KL, said the Briton who coincidentally was an exhibitor at the same book fair. The Kampung Boy is now available in nine different languages and its far-reaching appeal has garnered its author yet another accolade. Last Monday, the German-Malaysian Society presented him an award for Outstanding Contribution towards Promoting Cultural Understanding Between Malaysia and Germany. Yet Lat remains unfazed by all the fuss surrounding his 30-year-old book. There nothing spectacular about the book. Its all just a recording of what happened daily. If you know the origins of your father or grandfather, you tend to appreciate it more. And this is probably why Lat has sealed his reputation not only as a talented artist but also a witty chronicler who warms the cockles of your heart. > Brenda Benedict is a Malaysian living once again in Frankfurt. Her autographed copy of the Kampung Boy is now safely stored away from her book-chewing cats. LAT menunjukkan koleksi setem khas dan sampul surat hari pertama tema Kampung Boy. KUALA LUMPUR: Pos Malaysia Berhad (Pos Malaysia) mengeluarkan 1.1 juta setem dan sampul surat hari pertama bertemakan kartun Kampung Boy sempena Minggu Setem 2008 yang akan diadakan di Berjaya Times Square bermula 1 hingga 7 Disember ini. Pengerusi Pos Malaysia, Tan Sri Aseh Che Mat, berkata Minggu Setem adalah acara tahunan yang diadakan Pos Malaysia sebagai tanda penghargaan kepada pelanggan terutama pengumpul setem di samping mempromosikan hobi itu kepada orang ramai. Kami harap melalui program Minggu Setem ini hobi mengumpul setem dapat dipupuk khususnya di kalangan golongan muda yang kian melupakan aktiviti ini, walhal ia hobi yang dahulunya sangat popular di kalangan pelajar sekolah. Kebolehnya kita mahu hobi ini dihidupkan kembali melalui pembabitan anak muda kerana ia hobi sangat menarik dan boleh menjadi simpanan bernilai pemiliknya. Pada Minggu Setem kali ini orang ramai boleh mendapatkan pelbagai jenis setem unik dan eksklusif untuk menambah koleksi mereka selain berpeluang mengambil bahagian dalam aktiviti menarik disediakan. Kami juga berharap pengumpul setem dan peminat Lat menggunakan peluang ini untuk mendapatkan setem keluaran terbaru kami sebagai koleksi istimewa mereka memandangkan ia hasil karya pelukis terkenal yang menampilkan pelbagai sisi kehidupan masyarakat Malaysia, katanya pada pelancaran setem itu di sini, semalam. Kartunis, Datuk Mohamed Nor Khalid atau Lat, berkata, beliau berbangga kerana sejak membabitkan diri dalam bidang ini ia kali pertama tema kartun hasil lukisannya diangkat ke dalam bentuk setem. Di negara lain seperti Indonesia dan Thailand, mereka sudah lama menggunakan tema kartun dalam setem dan saya kira ini peluang untuk saya menyampaikan tanda terima kasih kepada masyarakat dan peminat yang menyokong karya saya selama ini, katanya. Sementara itu, Ketua Eksekutif Kumpulan Pos Malaysia Berhad, Datuk Syed Faisal Albar, berkata pihaknya memilih tema kartun sebagai tanda penghargaan terhadap kartunis negara, Lat yang popular melalui buku dan siri kartun Kampung Boy selain bertujuan memberi kelainan terhadap tema setem yang sudah dikeluarkan sebelum ini. Nama Lat sangat sinonim dengan masyarakat negara ini bukan hanya golongan kanak-kanak, malah semua lapisan umur menyukai hasil karya beliau, jadi kami berbangga dapat mengangkat martabat dunia kartun negara ke peringkat lebih tinggi. Setem juga menjadi alat untuk merakamkan fakta dan memori sesebuah negara untuk diperkenalkan kepada masyarakat lain yang kurang mengenali budaya kita, katanya. Maklumat lanjut diperoleh dengan melayari laman web Pos Malaysia di www.pos.com.my atau mengunjungi Pejabat Pos seluruh Malaysia. 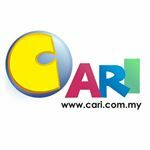 3 Malaysian Cartoon as Animated Series on Astro! KUALA TERENGGANU: Three locally-produced animation series will be shown on local television following the setting up of the e-Farm here. Thirteen episodes each of Tiga Dara Pingitan, Aca and Atuk and Qabillah will be shown on Astro Prima, Astro Ceria and Astro Isis in April 2009. Menteri Besar Datuk Ahmad Said said the quality of the animation series was high. Our animators were trained by experts in Hollywood. I proud of them. Malaysians should support the series. I hope we can sell the series to South Korea to promote the state, he said after chairing the weekly executive council meeting here yesterday.Ahmad said the state government had invested RM4.1 million in the three animated series, which were produced by Epict Eastern Pacific ICT, a government-owned subsidia-ry. The state government spent RM65,000 monthly on 45 Terengganu-born animators who graduated from e-Farm. Apakah bezanya siri "Komik Malaysia" daripada komik-komik yang ada dalam pasaran ? 1. Komik Malaysia adalah syariah-compliant. Inilah perbezaan yang paling utama. Dalam Komik Malaysia, tidak ada unsur-unsur yang tidak dibenarkan, umpamanya tiada lukisan watak-watak perempuan yang menonjolkan ciri-ciri objek seksual. 2. Komik Malaysia tidak mem-promote nilai-nilai negatif, seperti pergaulan bebas, keganasan, jenayah ataupun anti-Tuhan, malah sebaliknya, yakni Komik Malaysia menolak itu semua. 3. Komik Malaysia mem-promote nilai-nilai "akhlak dan adab tinggi". 4. Komik Malaysia menyematkan nilai-nilai positif, seperti bercita-cita tinggi, sedia berkorban membela yang benar, memburu kejayaan, mencintai nilai-nilai kepahlawanan dan keberanian. Dalam Komik Malaysia, semua nilai-nilai itu diselaraskan dengan prinsip-prinsip Islam, yakni matlamat yang betul hendaklah dicapai menggunakan cara-cara yang betul. 5. Komik Malaysia menggunakan Bahasa Melayu Tinggi. 6. 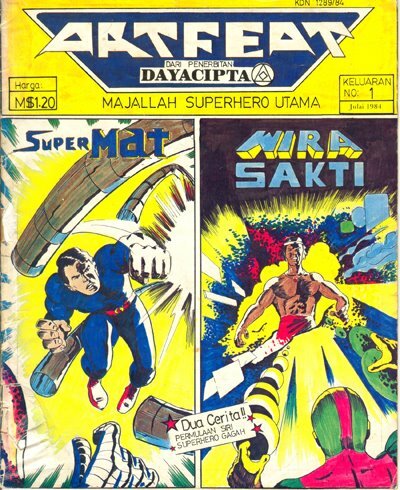 Cerita dan stroke lukisan dalam Komik Malaysia adalah evergreen, yakni dapat bertahan lama dalam pasaran, dan dapat diulangcetak setiap tahun, selama bertahun-tahun. Adalah menjadi prinsip perniagaan PTS bahawa karyawan komik yang bernaung di bawah PTS diberikan layanan yang serupa dengan penulis, yakni mereka kekal memiliki harta intelek mereka.